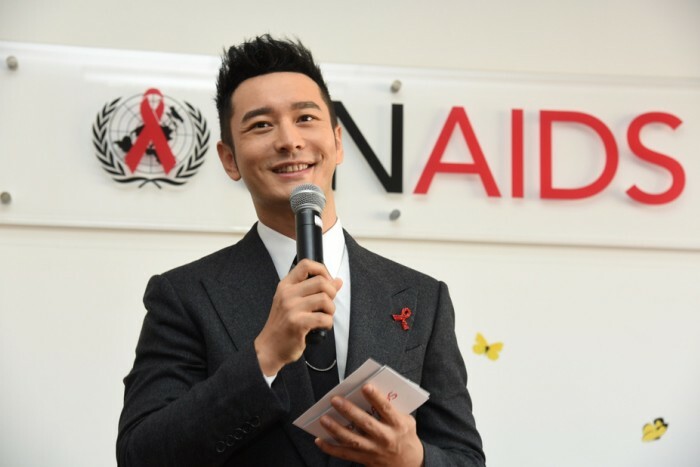 UNAIDS China has appointed the actor and humanitarian Huang Xiaoming as a UNAIDS National Goodwill Ambassador for China. 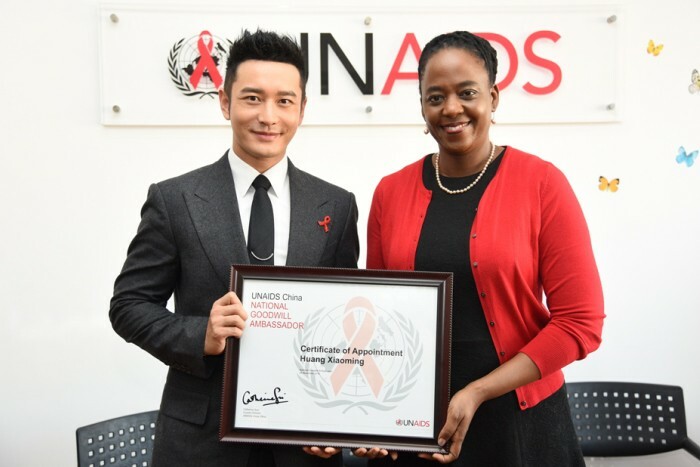 The announcement was made earlier this Monday on 28 November at an event at the UNAIDS office in Beijing, China. The nomination ceremony included a panel discussion with young people on HIV prevention. The football champion and UNAIDS National Goodwill Ambassador for China, Shao Jiayi, participated in the event and gave congratulatory remarks. In his new role, Mr Huang will raise awareness on the importance of universal access to HIV prevention, treatment, care and support, with a special emphasis on HIV prevention among young people. Immediately after his appointment, the star showed his support for the UNAIDS global “Hands up for #HIVprevention” campaign, which has been taking place in the lead-up to World AIDS Day on 1 December. Mr Huang posed for photographs with an HIV prevention message written on the palm of his hand. People around the world have been sharing similar photographs and messages through social media. Chinese authorities say there were 654 000 people reported to be living with HIV in China by the end of September 2016. Young people are particularly vulnerable to HIV. Thirteen young people (age 15–24) are infected with HIV every hour in Asia and the Pacific.